Stegosaurus Studios: Behold the Glories of Venus! You may or may not be wondering what the surface of Venus looks like. Luckily for you, I have a map! Great map! Did you draw it all digitally, or did you draw and scan it first? How big do you work on your maps? Will there ever be a complete map of Uranus too? Ha-ha-ha! 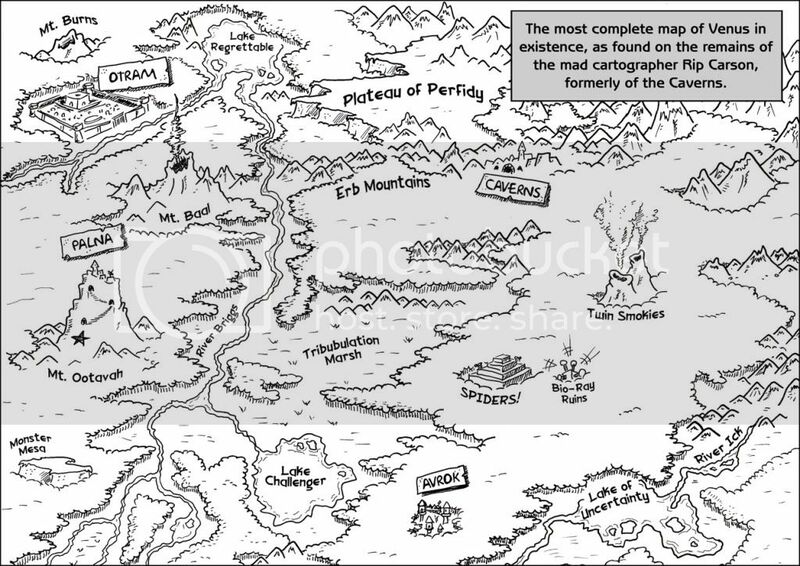 The map was all hand-drawn on regular 8.5 x 11 illustration board, originally with pencil, then light-box inked with ordinary illustration pens. The lettering was originally done by hand, but that looked terrible so I redid the letting in Photoshop.